Today’s show highlights a unique collaboration between The Richmond Behavioral Health Authority and mOb+storefront for community design. This collaboration brings art, design and recovery together. Jennifer Yane of Jennifer Unlimited has been working with the Richmond Behavioral Health Authority since 2006 to teach and create art with program participants in the Marshall Center. This year, they joined with mOb+Store Front for Community Design to bring design into the series and elevate it to arts activism. 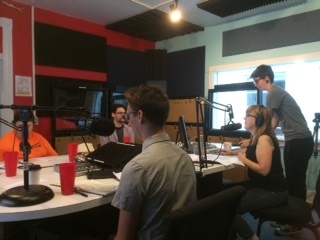 The soundscapes you will hear throughout the interview were created by participants in mOb. 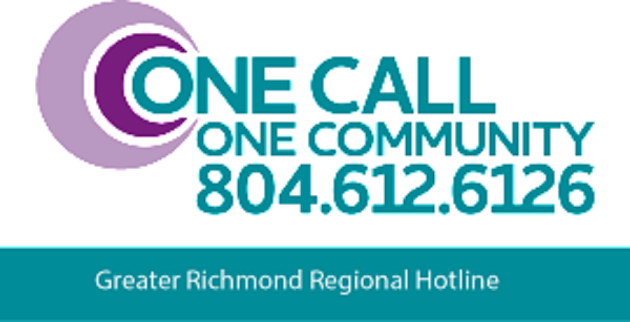 The Greater Richmond Regional Hotline operates as a collaborative service by five local agencies: The James House, Project Hope, Safe Harbor, Hanover Safe Place and the YWCA of Richmond. One call to the hotline and you are directly connected to a local specialist who can offer support and connect callers to resources and experts in your area. The Hotline is available 24 hours per day and open to survivors and their support networks to offer information and connectivity to agencies dedicated to empowering survivors. We’ve created this collaborative to provide a single, centralized resource for callers in need of crisis intervention, services, and/or resources. The hotline serves survivors and their loved ones who need support navigating domestic, intimate partner, family, and/or sexual violence in Chesterfield, Richmond, Hanover, Henrico, Tri-Cities area and New Kent, Virginia. If you believe you or a loved one has experienced domestic, intimate partner or sexual violence, please call the Greater Richmond Regional Hotline. All calls are confidential. We are here to provide options, share resources, and support your decisions. The Greater Richmond Regional Hotline relies on the support of our trained volunteers to help survivors of violence on their journey to recovery. If you are interested in volunteering, please contact your local agency’s Volunteer Coordinator for information on how to get started. R-HART (the Regional Hospital Accompaniment Response Team) is a collaboration between Hanover Safe Place, Safe Harbor, the YWCA of Richmond, Bon Secours Richmond Health System, and the VCU MedicalCenter/MCV. This team of volunteers responds to patients in the emergency rooms of St. Mary’s Hospital, Memorial Regional Medical Center, Richmond Community Hospital, St. Francis Medical Center, the Watkins Centre, Henrico Doctors Hospital-Forest Campus, Henrico Doctors Hospital-Parham Campus, Henrico Doctors Hospital-Retreat Campus, and the VCU Medical Center. Today’s show focuses on local systems of care to support recovery from addiction and mental health. Centers providing peer to peer support, advocacy, and community support systems are speaking on how they support people in recovery. The McShin Foundation is Virginia’s leading non-profit, full–service Recovery Community Organization (RCO), committed to serving individuals and families in their fight against Substance Use Disorders(SUDs). While providing the tools for recovering individuals to create positive lifestyles, we aim to spread the word of recovery and educate families, communities, and government regarding SUDs as well as reduce the stigma attached to them. SAARA of Virginia is a grassroots recovery community organization. All friends of recovery are invited and welcome to join. Members include individuals in recovery from alcohol and other drug addiction, their families, friends, and dedicated community supporters. SAARA promotes social, educational, legal, research and health care resources and services that support accessible, effective and accountable addiction prevention, intervention, treatment and Recovery. We envision the day when the stigma of addiction will be eradicated, and all who seek recovery will find it. Recovery happens! VOCAL is a statewide community, support network, social change movement and self-help education program created by and for persons who live with conditions commonly referred to as mental health disorders. RAMS mission is to promote recovery from addiction and celebrate living in sobriety. Their aim is to create a collegiate recovery-based community for VCU students, a safe space where anyone struggling with addiction can connect with like-minded people. SPRC is the nation’s only federally supported resource center devoted to advancing the National Strategy for Suicide Prevention. We provide technical assistance, training, and materials to increase the knowledge and expertise of suicide prevention practitioners and other professionals serving people at risk for suicide. We also promote collaboration among a variety of organizations that play a role in developing the field of suicide prevention. Today’s show focuses on the impact of addiction, best practices in treatment, the power of advocacy and legislative advances. Our guests today are considered experts in both the development of and the provision of services; and through their combined advocacy efforts, have effected great changes in the perception of addiction. John Lindstrom is the Chief Executive Officer of the Richmond Behavioral Health Authority (RBHA). RBHA is the primary behavioral health services agency serving the residents of the City of Richmond and providing a variety of services for those in crisis or in recovery from mental health, substance abuse and intellectual disabilities. RBHA has recently opened a medical care unit to provide medical service through an on-site primary care clinic. RBHA provides health, wellness and recovery for the whole person through the integration of behavioral health and primary health services. John has over 20 years working in the mental health recovery field and has implemented many new and innovative programs at RBHA. James May is the Director of Planning, Development, Research, Evaluation and Director of Substance Abuse Services at the Richmond Behavioral Health Authority. Jim has over 25 years working in the field of addictive disorders and mental health. He has developed many innovative programs for substance services, has brought new funding streams to RBHA to expand services to bring more specialized and holistic recovery programs to consumers. Carol McDaid is a co-founder and Principal of Capitol Decisions Inc. A special focus of Capitol Decisions is national alcohol and drug treatment policy. For over 15 years, Ms. McDaid has worked with leading non-profit drug and alcohol treatment centers, addiction physicians, and other prevention and consumer organizations to refine public policy addressing alcohol and other drug addictions. Ms. McDaid led the Parity NOW Coalition behind passage of the 2008 “Paul Wellstone and Pete Domenici Mental Health Parity and Addiction Equity Act.” This landmark legislation requires insurers to treat addiction, mental, and physical health problems equally. The Parity NOW Coalition became the model for successfully advocating for inclusion of addiction and mental health benefits in health-care reform legislation. Because Ms. McDaid personally overcame addiction, she understands the challenges, political and personal, of dealing with alcohol and drug issues.